How to get a giant Twitter following? Simple advices and recommendations. Everyone uses social media profiles for his own targets, but every user always wants to have a massive following. Why not, because this aspect could easily grow up your total popularity and give you a chance to become popular. However, everything is not so easy. You can`t just create and account and open it once per week. If you will do like that, the followers won`t come, and profile will die very fast. But don`t worry, because we are here to help you. Today we choose Twitter as an object of our discussion. 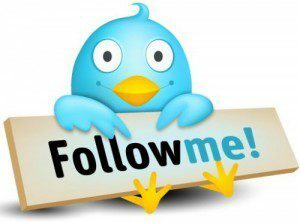 We will show you probably the easiest ways of increasing your Twitter following. we will start the discussion about Twitter following with the most important part – user`s profile. It is the first step of your social media activity, which gives you an opportunity to post something get information you are looking for and perform other actions that all social media users do. You should select good background image and main profile photo. If it`s your private account, you can pick up a photo of yourself. However, if it`s a business profile, it should be a company`s logo. Next – bio. It should be formed right and give your followers completed information about you. As an example, we can say a few words about famous developers. Their bio shows in which sphere they are working and what is their function in company. Remember that you have a strong limit of 140 symbols, so this information should be very brief and compact. If you want to get a lot of followers it doesn`t mean that you don`t need to follow other users. It is also very important point in Twitter following, because when we subscribe someone, he/she pay attention to our profile. “Wow, new follower. Let`s see what he has” or something like that. Mutual followings have a giant impact on person`s account because the number of followers grow very fast. When someone start following you, he/she want to see some good and interesting tweets. It means that you should post something at least once per day. Twitter is very specific social media where an information flow moves with the tremendous speed. Why? Because each post has only 140 symbols and sometimes people add some images or video materials. However, pay attention to what you write about. If it will be something incomprehensible made just to increase activity, you will fail. People know what they want to read, so they won`t put likes on every new tweet on the news feed. It`s a great variant to increase your activity, because on of the points in your competition conditions is to follow you. At the same time, giveaways will also help you to keep your Twitter following regular. How? People will know that you can start cool giveaway and that they could get something unusual. As you know, every social media that we use is made to create connections between people. 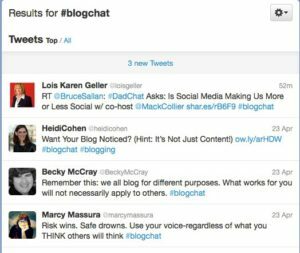 Twitter chat is probably the smartest way of increasing your following and profile activity. Just join the conversation and it`s a 100% guarantee that someone will start following you the next day. That`s how it works. As you see, there`s nothing difficult in increasing your Twitter following. the methods we showed here are easy in use and every Twitter user could try them. However, it will be better if you will start using them all at the same time – it will give you more impact. We hope our article was interesting for you and you will pay attention to our recommendations. Good luck!